Cooler Master, a Taipei-based leader in designing and manufacturing computer components and gaming peripherals, will debut the M800 gaming series consisting of the MK850 and MK851 keyboards, MH850 headset, MM830 mouse, and the MP860 RGB dual sided mouse pad. The series provides the highest level of flash and expression while combining features such as Aimpad technology, hidden D-Pad, Focus FX, and precision wheels that work together across the series for the ultimate competitive gaming advantage. "The M800 gaming series embodies the best of the best. We aimed to raise the bar with unique technology and features such as the collaboration with Aimpad, but also set the stage with a fresh level of design to ensure we deliver a premium gaming experience," says Bram Rongen, Senior Product Marketing Manager. The series starts with the most integral part of a setup, the MK850 and MK851 with Aimpad technology. 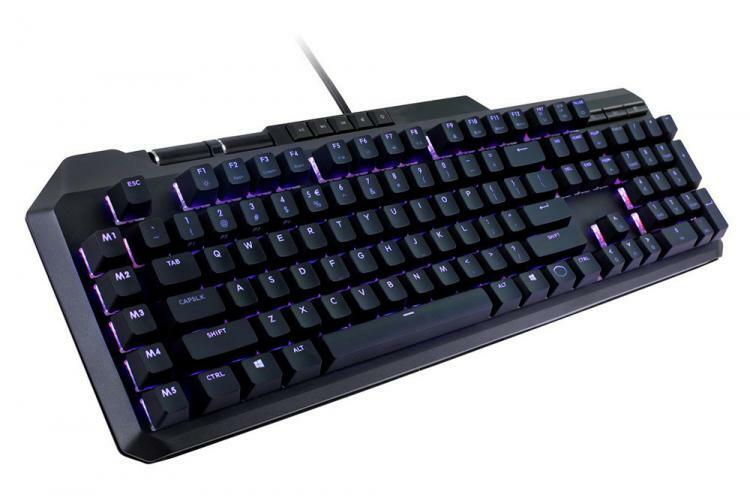 Cooler Master added full analog movement control to a cluster of eight keys, including the WASD keys, allowing smooth precision in driving, flying, and third-person action games. Traditional keyboards act like an on/off switch where keys are actuated then released. With Aimpad activated, the MK851 keys function like a gas pedal. The result is more control, especially when driving vehicles, making slight adjustments, or course corrections without having to continuously tap keys. Instead, press down slightly for smooth control. Due to the pressure sensitive nature of the MK851, Cooler Master will offer the keyboard with linear Cherry MX red switches, or opt for the MK850 and enjoy all the same features and aggressive design without Aimpad and choose between blue or brown Cherry MX switches. The MK850 and MK851 are equipped with a cobalt aluminum top plate, dedicated multimedia and macro keys and wrist rest, and two precision wheels that work in tandem with the rest of the series. The precision wheels on the M800 series are tools that allow customization and adjustments of features through a unified software platform. Users can program the precision wheels to execute functions such as adjusting headset volume through the precision wheel on the keyboard, fine-tuning DPI settings via the headset precision wheel, tailoring the keyboards RGB lighting using the precision wheel on the headset, and more. Next in the series is the MM830 featuring hidden D-pad technology. Four integrated, low profile buttons provide the competitive gamer easy-to-access maneuvering that can be pressed without needing to lift the thumb. Perfect for MMOs and MOBA style games, the four D-pad style buttons can be pressed as fast as you can react by rocking your thumb up, down, backward or forward. Software allows users to program the D-pad buttons, precision wheel functions, and RGB color effects. 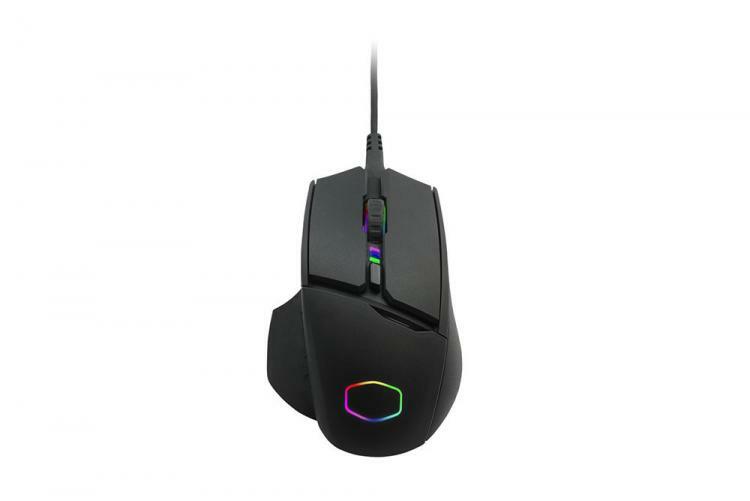 This brawny gaming mouse is housed in a durable PBT chassis with full 16.7 million RGB options and 96*94 OLED screen for customization. Between its top tier Pixart 3360 sensor and 24,000 adjustable DPI capability, the MM830 will be the weapon of choice to triumph opponents. Built for superiority on the battlefield, the MH850 virtual 7.1 audio gives a leg up on the competition with crystal clear surround sound to track even the stealthiest snipers. Activate Focus FX technology to isolate the mid and high tones to hear subtle sounds such as footsteps during competitive play. Turning Focus FX off instantly elevates the bass thus providing an immersive gaming atmosphere. 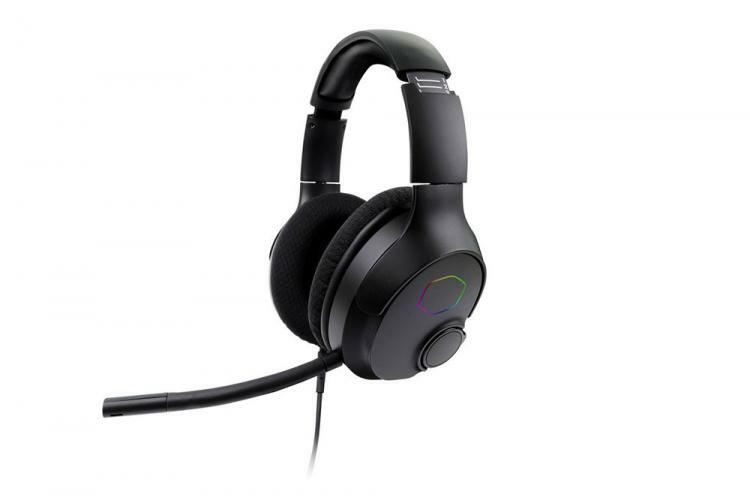 Decked with cloth and leather ear pads for comfort, on-cup controls, detachable USB Type-C and 3.5mm cables, removable flexible boom microphone for convenient positioning, precision wheel, complete RGB customization, and a fold flat design for proper storage- the MH850 will present a significant gaming edge. 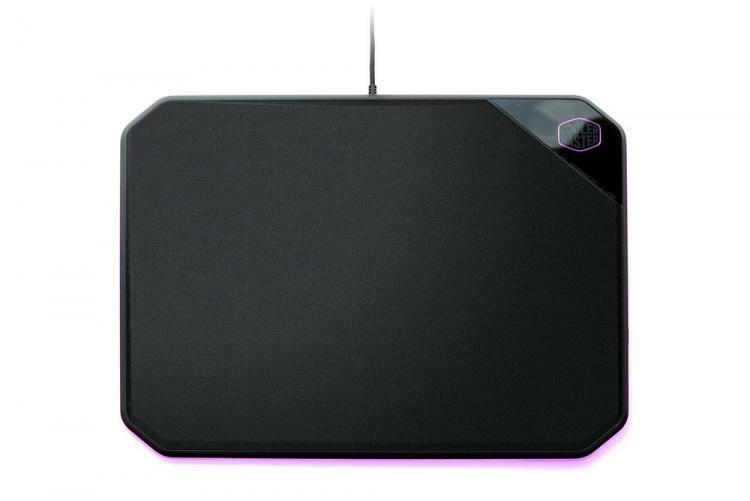 Cooler Master's RGB dual mousepad grants the best of both worlds. Use the easy to clean hard side during marathon gaming for greater precision and speedy movements or flip it over and use the soft side for daily tasks. The MK850, MK851, MM830, MH850, and MP860 RGB Dual Mousepad are set to launch during Q2 and Q3 of 2018 and will retail at Amazon and Newegg. Cooler Master will also initiate a beta program where users can get their hands on the series and provide feedback.